In case you couldn’t tell, we love fruit in our green salads! Mango, grapes, blueberries, strawberries, apples, oranges, grapefruit, peaches…I thought I’d done it all! And then I was flipping through the pages of my Always Superb cookbook and realized that raspberries were one fruit I had yet to feature in a salad. 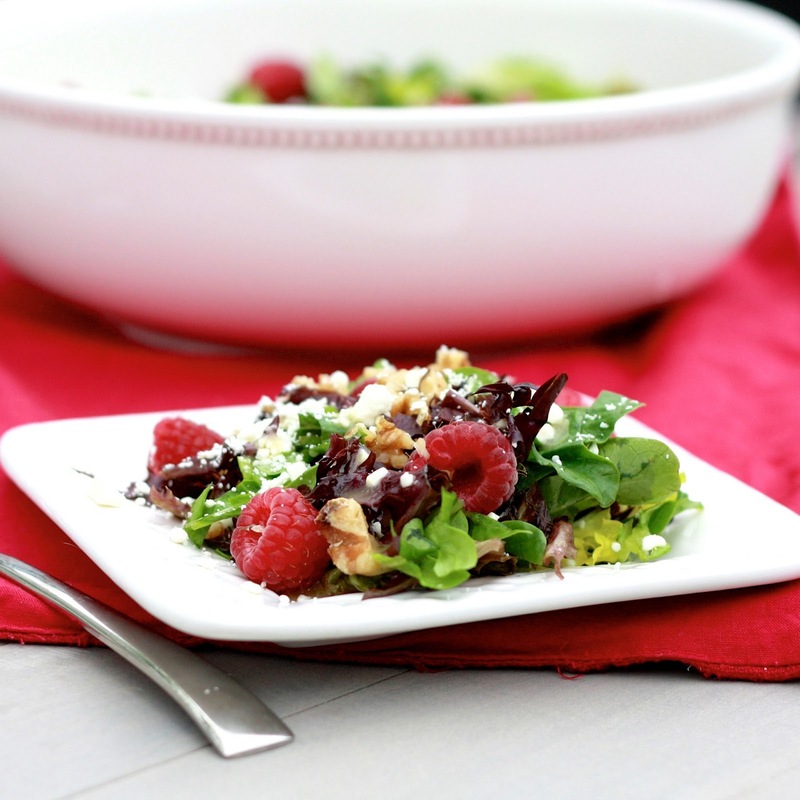 Aside from the raspberries, the ingredients were things I almost always have on hand, making this salad very easy to throw together to accompany our burgers for dinner one night. I added feta to the original recipe and its saltiness was a welcomed addition. Next time I might slightly reduce the honey in the dressing, it was almost a little too sweet for me. Modify to your tastes accordingly. Do you have a favorite salad that features fruit?! 1. Toss the walnuts with the mixed greens in a salad bowl. 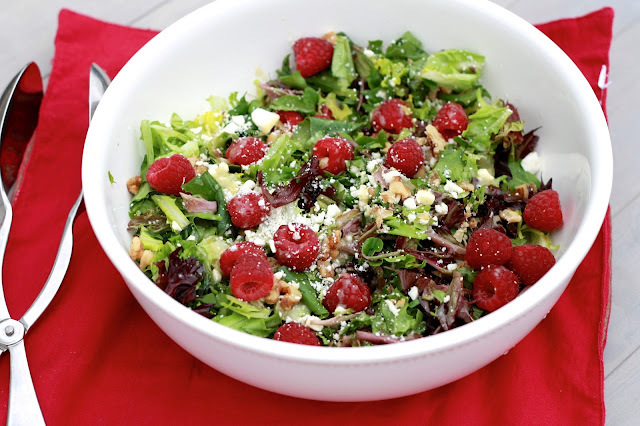 Sprinkle with raspberries and feta. 2. In a small bowl, whisk together the olive oil, honey, sour cream, and mustard. Pour over the salad and toss. Serve immediately.